My last and only big ship was HMS Greenwich, a destroyer depot ship, in Portsmouth harbour. I was leading telegraphist to S.O.R.F. Portsmouth. 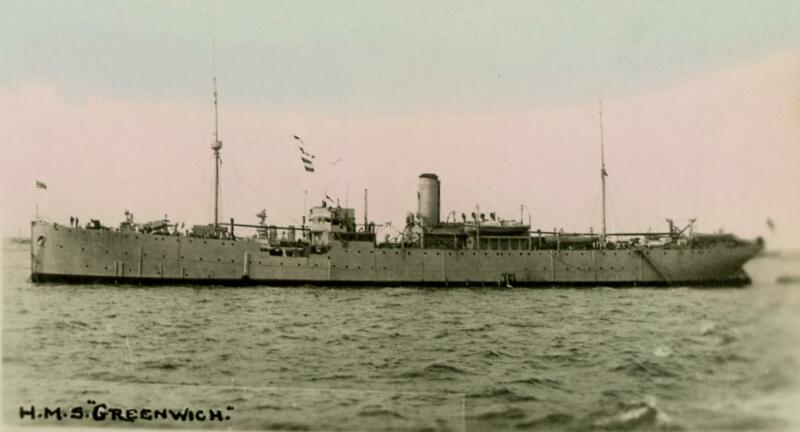 My main task was to send out test signals to selected vessels in the reserve fleet and then be taken by picket boat to collect and mark them. This was a nice quiet number and a good way to finish my service. I was crew for six months and then demobbed. I joined the Royal Fleet Reserve for a further six years.